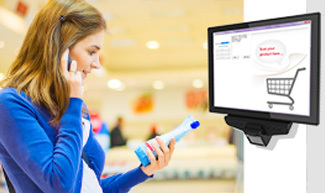 UTC-542 is a multipurpose 42.5" all-in-one (AiO) computer that features a fanless design and the latest Intel® Pentium®/Core™ /Celeron® processor for delivering high-performance computing in a compact platform. 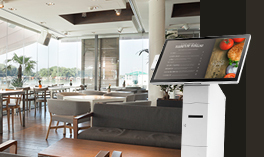 UTC-542 offers industrial-grade reliability, extendable functionality, multiple OS support, and flexible mounting options, making it an ideal AiO terminal for various types of in-store interaction, point-of-sale, self-service, and equipment control applications in retail, hospitality, public service, and factory environments. 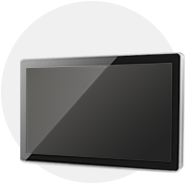 Advantech's UTC-500 series AiOs are available in 10.1, 15.6, 21.5, 31.5, and 42.5". The compact and slim design provides enhanced installation flexibility, while the stunning 16:9 LCD complements the system's sleek and stylish appearance. Powered by a the latest Intel® processor (Pentium®/Core™/ Celeron®) and equipped with up to 8 GB of DDR3L memory, the UTC-542 is an ideal AiO solution that delivers excellent computing performance. The UTC-542 supports multiple OS, including Windows, Android, and Linux, further increasing the system's overall compatibility and flexibility. 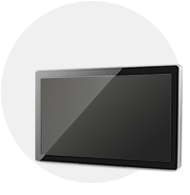 Featuring a 42.5-inch 16:9 widescreen TFT LCD monitor that supports 1920 x 1080 resolution and 450-nit brightness, UTC-542 offers a wide viewing angle and enhanced visuals aimed at industrial-grade display applications. 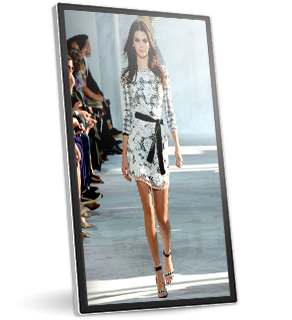 The ultra-thin bezel design maximizes the display space and offers an enhanced viewing experience. 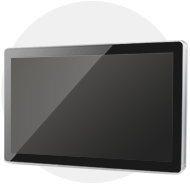 Equipped with a true-flat touchscreen, the UTC-542 also features a front panel with an IP65 rating for water and dust protection, conforming to environmental specifications for industrial and commercial operation environments. 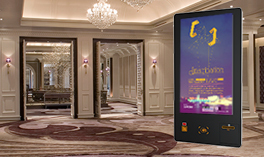 With mirror coating, the UTC-542 can be transformed into an interactive mirror signage that facilitates unique applications, such as virtual fitting room, where customers can browse information while trying on products. 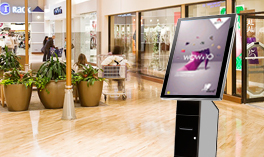 Interactive mirror signage helps to create a more engaging shopping experience in retail stores. UTC-542 is also equipped with dual HDD/SSD slots that support RAID storage for improved performance, enhanced reliability, convenient database recovery, and advanced data protection. Moreover, the HDD/SSD slots feature a hot-swappable design, which enables easy upgrades without dismantling the entire system. The UTC-542 can be easily equipped with diverse peripherals, including a camera, magnetic strip reader, NFC/RFID reader, iBeacon module, and barcode scanner, to extend the system functionality for a wide range of applications. 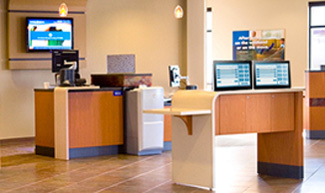 Rich I/O ports can also support various application needs in retail, hospitality, and industrial environments. 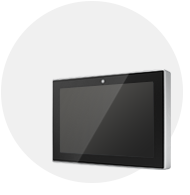 The UTC-500 series features standard VESA mounting holes and is compatible with a variety of wall mount, floor stand, and table stand options to fit different application environments and ensure convenient installation.